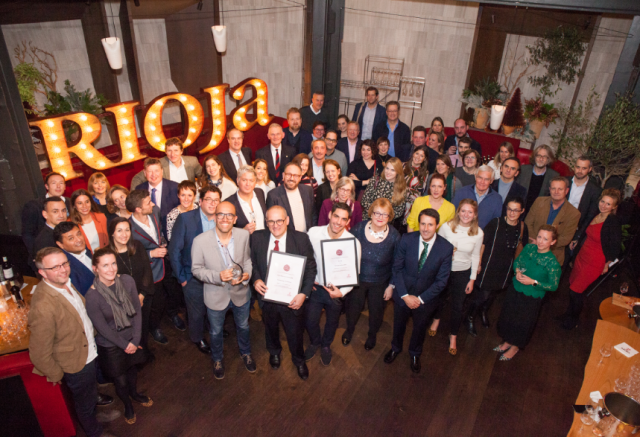 Four leading wine figures were rewarded for raising the recognition of Rioja in the UK and beyond at a knees up in Covent Garden’s Eneko Basque Kitchen & Bar on Tuesday. Part of a campaign called Rioja Recognises, the concept was created four years ago to celebrate those who have made a significant contribution to the Rioja category in Britain as well as on a global scale. Congrats to Owen Morgan, director of bar chain Bar 44, writer and judge Pedro Ballesteros Torres MW, WSET educator, and TV presenter, Raul Diaz, and Mike Stanton, from retailer Corks Out.